If you are looking for an alternative to silver flatware, why not try using bamboo flatware. This type of flatware is much more affordable than silver flatware. This means you will be able to save money by buying bamboo flatware. In addition, bamboo flatware is durable, lightweight and adds a charming look to any family gathering, restaurant dining area or catering venue. Bamboo flatware is eco-friendlly, which is a great reason to use it. 1. Bamboo is good for the environment. Once harvested bamboo will re-grow quickly, thus making this one of the best flatware material on earth. You will be helping out the environment by using bamboo flatware, which is possibly the perfect reason to use this type of flatware. 2. Bamboo is strong, durable and tough. You might wonder how this can be the case since bamboo is a grass, but it really is true. The texture of Bamboo Flatware is strong, durable and holds up great in any kind of food environment. 3. Bamboo is safe. There are no harmful chemicals used to make bamboo flatware so you can feel confident that you’re using safe products at your eateries and homes. 4. Bamboo flatware is disposable, but remember it is 100% biodegradable thus good for the environment. Some people use bamboo spoons, forks and knives a few times before discarding them, which is something you might want to try. 5. 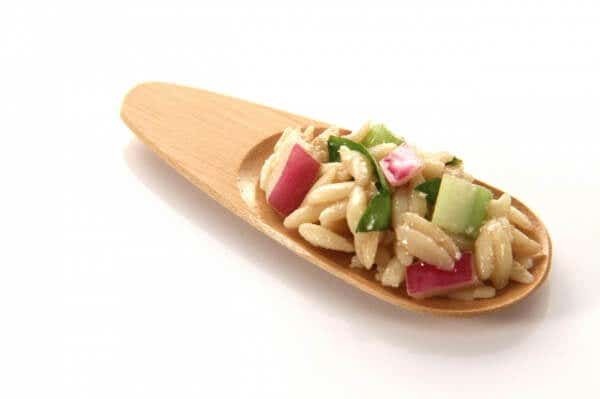 Bamboo flatware adds a classy touch to restaurant, catering and home food settings, you will also notice that bamboo products offer an elegance so you can use them in both upscale and casual food environments. There are several advantages to using bamboo flatware, which is why many restaurant owners, caterers and home cooks are choosing to use it. You will surely reap many rewards from using bamboo spoons, forks and knives so why not pick some up today at Restaurantware.